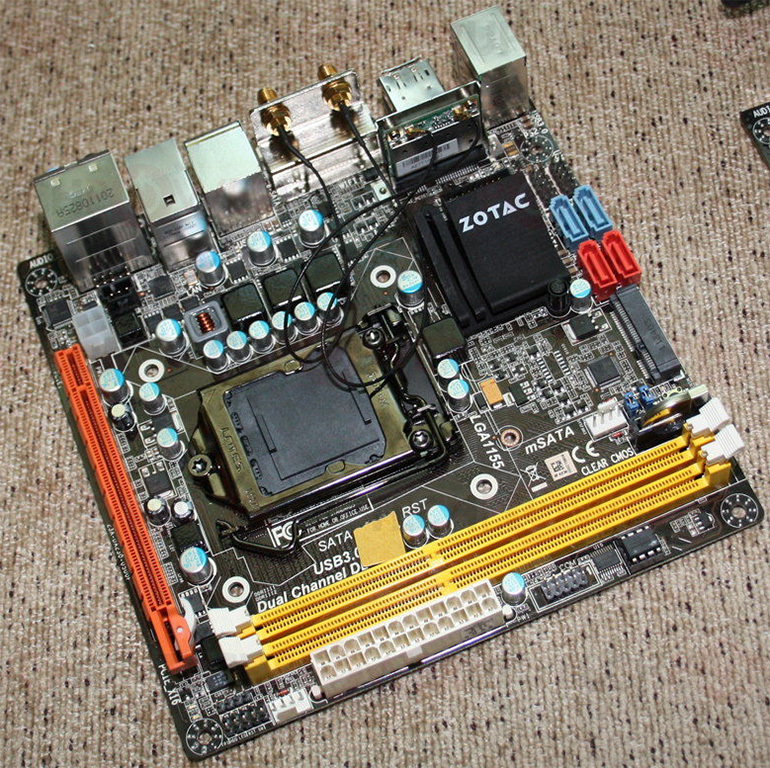 ZOTAC showed off a pair of socket LGA1155 motherboards based on Intel's upcoming H77 "Panther Point" chipset, geared for compact desktops and HTPCs. These boards have not yet been named. The first one (pictured below), appears to be the more affordable of the two. It uses a simple 4-phase VRM to power the LGA1155 CPU, which is wired to two DDR3 DIMM slots supporting dual-channel DDR3-1600 MHz memory. 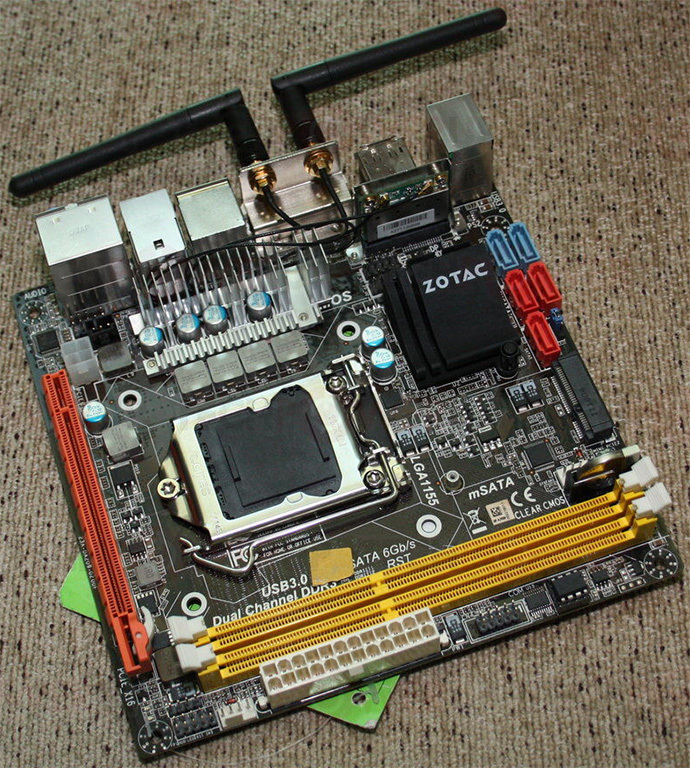 Its lone expansion slot is a PCI-Express 3.0 x16. Storage connectivity includes two SATA 6 Gb/s, two SATA 3 Gb/s, and an mSATA (probably 3 Gb/s). Its VRM uses cost-effective chokes, and LFPAK MOSFETs. The more expensive-looking board of the two provides all the features of the other, while making room for an extra SATA 3 Gb/s port, higher-quality VRM that makes use of durable coils, and DriverMOSFETs (DrMOS), and DisplayPort connectivity. Other than the DisplayPort difference, both boards feature 8-channel HD audio, gigabit Ethernet, wireless b/g/n (N 300) connection, USB 3.0, and display connectivity that includes DVI and HDMI. Why did they put a sticker on the description of features on the PCB?